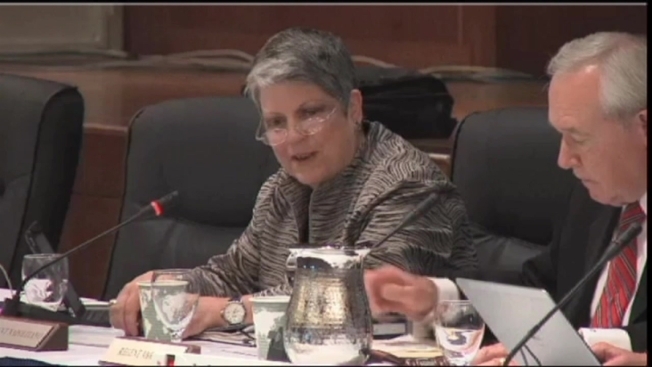 The president of the University of California system publicly apologized Thursday for calling chants by students protesting tuition hikes "crap,'' a remark overheard on an open microphone at a board of regents meeting. 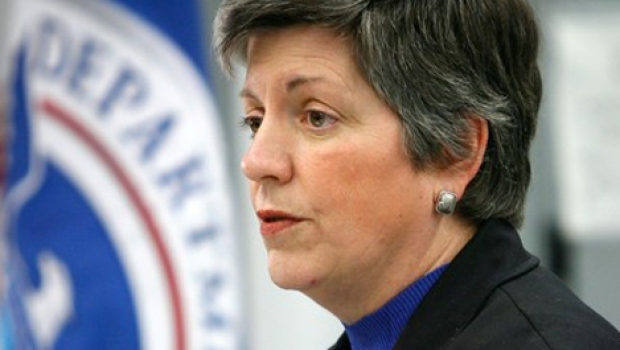 Janet Napolitano, also a former U.S. Homeland Security secretary and former Arizona governor, opened a regents meeting Thursday by expressing contrition. The university's recording of a Wednesday gathering captured her saying, "We don't have to listen to this crap,'' when she leaned over to the board chairman who had just activated his microphone. Napolitano apologized Thursday "for using a word that she doesn't normally use, which was picked up by the mike, and suggested that many of us have been in similar situation where an inadvertent comment was overheard," Napolitano spokeswoman Dianne Klein said in an email. The president of the University of California system publicly apologized Thursday for calling chants by students protesting tuition hikes "crap," a remark overheard on an open microphone at a board of regents meeting. Klein said the time allotted for public comments had ended Wednesday when protesters interrupted. "This went on for quite some time and when the participants ignored police instructions to end their protest, the board chair began following the established procedure to temporarily shut down the meeting," Klein said. Napolitano is a former Homeland Security secretary and Arizona governor who took over leadership of the UC system in 2013.